The Verizon iPhone finally launches in-stores on Thursday, February 10th at 7 a.m. Since this is essentially the same iPhone that has been on the AT&T network since last year, we don't expect there to be nearly as long a line for the original launch. Still, it seems some people aren't taking any chances. 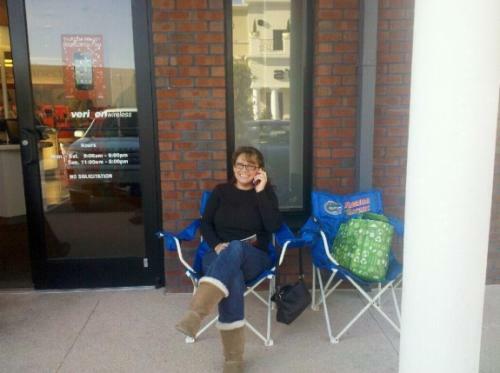 The Orlando Sentinel posts a photo of the first person in line at a Florida Verizon Wireless store. Marcia Caldwell parked her chair outside the Verizon Wireless store in Winter Garden shortly after 4 p.m. Wednesday -- 15 hours before she can buy Verizon's new iPhone 4. Caldwell is presently on an iPhone 3GS with AT&T and will be switching to Verizon to get better coverage at her home. A few random tweets indicate long lines are already forming in some locations. 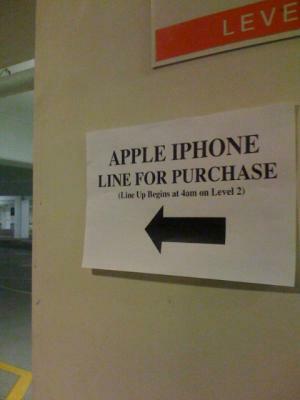 If you are standing in line, send photos to webmaster@macrumors.com or post in the comment thread.